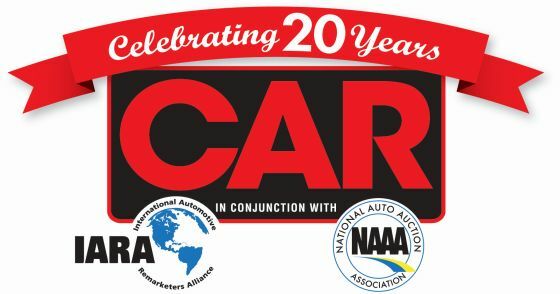 Bobit Business Media and the National Auto Auction Association (NAAA) present the Conference of Automotive Remarketing (CAR), co-located with the International Automotive Remarketers Alliance (IARA) Roundtable. The event has been connecting consignors with remarketers and industry suppliers for over two decades. The 2015 conference, which covers all remarketing channels, is scheduled for Caesars Palace in Las Vegas. For more information, visit the event Website.